The First Bancorp (formerly First National Lincoln Corporation), is a $1.9 billion bank holding company based in Damariscotta, Maine. The company’s subsidiary, First National Bank (formerly The First, N.A. ), was established in 1864 and now has 16 branches located along Maine’s coast from Wiscasset to Calais and one inland branch in Bangor. 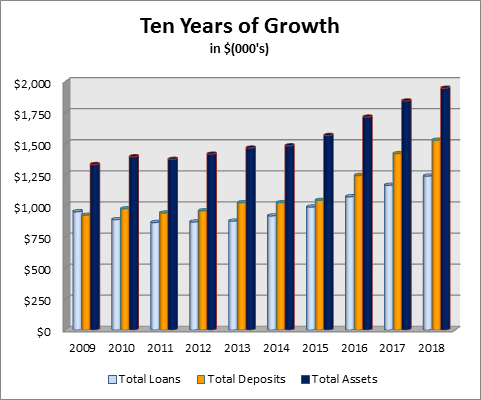 With a strong coastal presence, the Bank is well positioned to take advantage of the mix of both new and traditional industries and the growth generally seen in Maine’s coastal counties. The Bank is also located in the heart of downtown Bangor, a city currently seeing a renaissance. Contained within the website is summary and condensed financial information concerning The First Bancorp. For more complete information, refer to the full text of the annual and quarterly reports to The First Bancorp’s shareholders and filed with the Securities and Exchange Commission (find public information here). Within these filings you will find more complete disclosure information, including but not limited to Management’s Discussion and Analysis of Financial Condition and Results of Operations and the audited and unaudited financial statements of The First Bancorp and the related footnotes and reports of the company’s independent public accountants.